BETWEEN REFORMS AND REPRESSION, CAN CUBA’S NEW FORCES OF CHANGE SUCCEED? By Carol Rosenberg, Miami Herald, March 11, 2016. Original here: Obama May Invoke…..
Expect President Barack Obama to invoke the ingenuity and success of Cuban-American exiles in his address later this month in Havana, a key White House aide said in Miami on Friday during a listening tour ahead of the president’s historic three-day trip to Cuba. Deputy National Security Adviser Ben Rhodes said there’s no agreement yet on whether state-run Cuban radio will broadcast Obama’s speech in Cuba, a first by an American president since the 1959 revolution. But Rhodes, a sometimes speechwriter for the president, said he has a role in the address, which is being influenced by his talks with South Floridians. “I’ve been struck by how much that speech is a focus for people,” said Rhodes, who spent the day in downtown Miami, mostly on the Miami Dade College campus, inviting input and trying to assure anxious or angry exiles ahead of the president’s March 20-22 visit to Havana. He held a succession of meetings, many closed, with students, activists, journalists and religious and community leaders, where he reminded them that the White House goal isn’t to topple the Castro government but to open up society through renewed diplomatic relations, trade and other ties. The two sides have not yet settled on a site for the speech. Rhodes, however, predicted the venue would be indoors, citing logistics and security reasons, and setting to rest the possibility that he would follow in the footsteps of Pope Francis’ September visit. The pontiff did his open-air Mass in Havana’s Plaza de la Revolución — with a huge portrait of Che Guevara staring down. In the room at the time were dissident Martha Beatriz Roque, in town for just a few days, as well as Santiago Province activist Carlos Amiel Oliva Torres of the Union Patriotic de Cuba, and Leticia Ramos of the Ladies in White, both of whom arrived in Miami on Thursday and were returning to the island Saturday. Rhodes sent mixed signals on how far the administration would go to ensure that Miami-based journalists, especially Cuban-born reporters who have been unable to get visas, would be allowed on the island to cover Obama in Cuba. Rhodes also disclosed in Miami that Obama would be accompanied by the first lady, and four Cabinet members — Secretary of State John Kerry, Agriculture Secretary Tom Vilsack, Commerce Secretary Penny Pritzker and Maria Contreras-Sweet, administrator of the Small Business Administration. Rhodes pledged a bipartisan representation of Congress would also accompany the president, but said the list was not yet set. Rhodes said the topic of returning the U.S. Navy base at Guantánamo Bay, Cuba, was not up for discussion in the three-day visit, although he said the Cuban government would no doubt raise it. 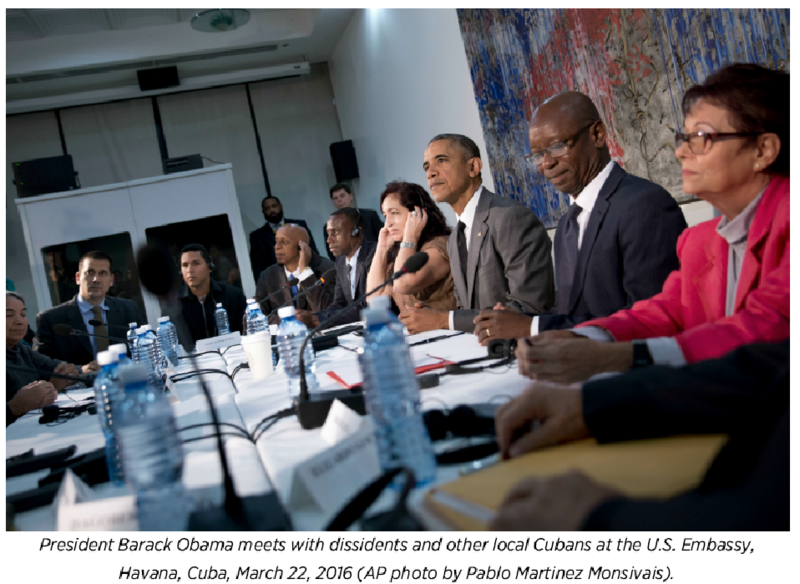 U.S.-CUBA: MUST “DEMOCRACY PROMOTION” OBSTRUCT NORMALIZATION? “Democracy promotion” has been one of the most contentious aspects of U.S. policy toward Cuba—and one of the most counterproductive—but it doesn’t have to be either. With a little effort and flexibility, Presidents Obama and Castro can take the edge off this irritant and even make it mutually beneficial. Like American “exceptionalism,” the concept of democracy promotion is ingrained in U.S. policy culture—and is unlikely to fade as a stated objective. Although consensus on the criteria for “democracy” has never existed, the desire to promote it reflects a widely held perception that democracy is better for countries’ internal governance, regional stability, and U.S. interests. U.S. policymakers and scholars cite the post-World War II transformation of West Germany and Japan into flourishing democracies as evidence. 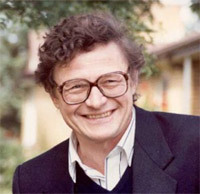 Many argue that U.S. programs, such as secret assistance to Poland’s Solidarity movement, were critical to the collapse of the authoritarian governments that made up the “Soviet Bloc.” The U.S. Congress created the National Endowment for Democracy (NED) and its four constituent units in 1983 and gave them generous budgets with which to promote democracy. These organizations and their programs have become as bullet-proof as any in Washington. NED says it is “on the leading edge of democratic struggles everywhere,” and it receives little scrutiny by Congress or the news media. Democracy promotion—albeit in different forms—has been a main element of U.S. policy toward Cuba for decades. 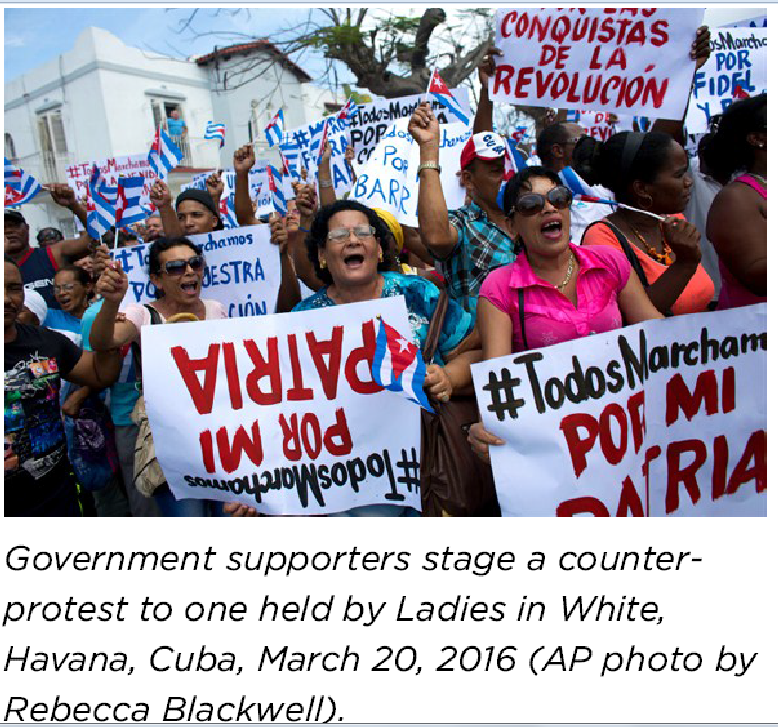 Ultimately, the key to successful democracy promotion in Cuba will be for the U.S. government to let the successes of people-to-people relations—as a legitimate manifestation of the two countries’ interests—guide the relationship. By all accounts, experience since President Clinton first authorized people-to-people exchanges in 1998 has been that the interaction has been pragmatic, constructive, respectful, open—and mutually beneficial. President Obama’s steps to increase the flow of people and goods across the Florida Strait have created important opportunities. He and President Castro should trust their citizens to develop the historic roadmap that will define the relationship into the future, and American leaders should have particular trust that democracy promotion is encoded in the American people’s DNA and will manifest itself through the normal course of people-to-people exchanges. Both the United States and Cuba stand to benefit.